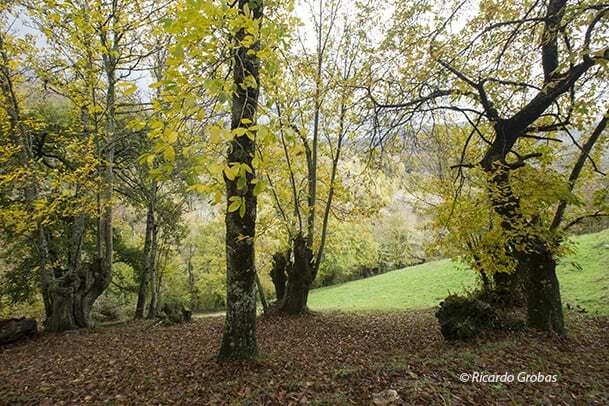 90 km from Madrid, located in Sierra de Gredos, lays the “El Tiemblo” chestnut grove. This 4 miles route is categorized as of little difficulty, where you can be amazed by the dissimilar forms of the lush and ancestral chestnuts and their autumn shades. 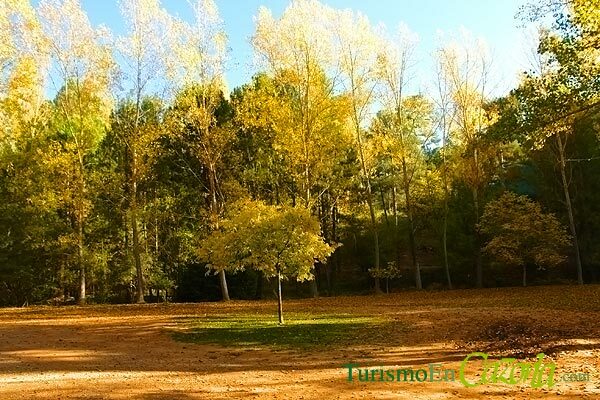 In this small forest you can also find beautiful ilex, pines and oaks. With an extension of 20 thousand acres, there is the Gorbea Natural Park, which takes his name after a 1482 meters summit located in the Park. You can travel through its fanciful trails walking, biking or by horse and watching beeches, oaks, willows, ash trees and poplars, as well as the deer, the wildcat and other animals that there live. 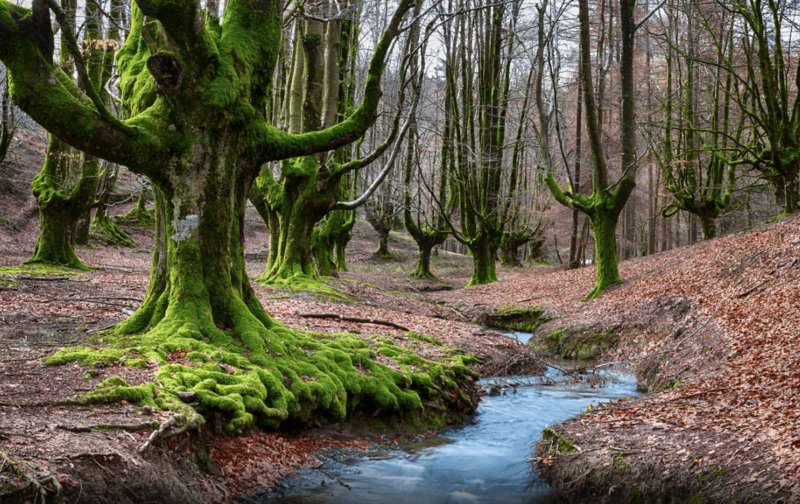 There are spectacular options like the Otzarreta´s beech grove and the Ubide – Gorbea circular route, which is the largest Natural Reserve of the Basque country. 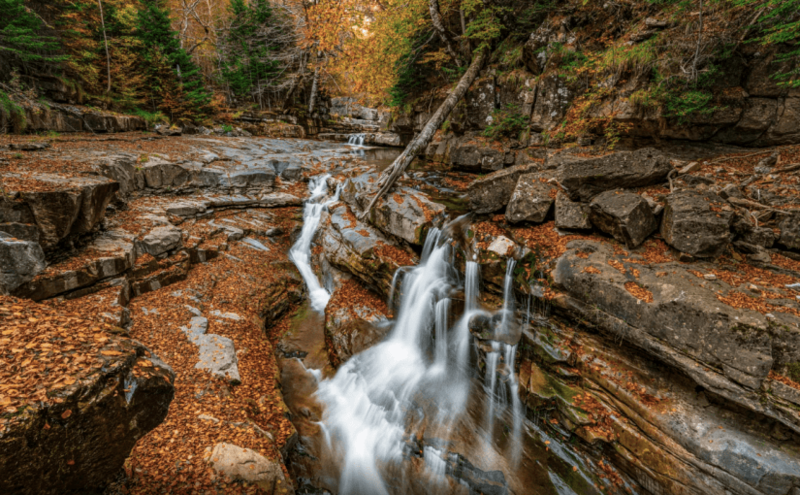 In Huesca is located the Ordesa and Monte Perdido National Park, the Iberian Peninsula second oldest. This paradise of forest, mountains, waterfalls and even glaciers has more than 15000 hectares. By the Torla town you will travel to the Ordesa Valley, while you get deeper in medieval times. Natural beauty can be seen in their 19 km Ponytail trail, a scenario that conquest you with all its hues. Also distinguishes Monte Perdido. 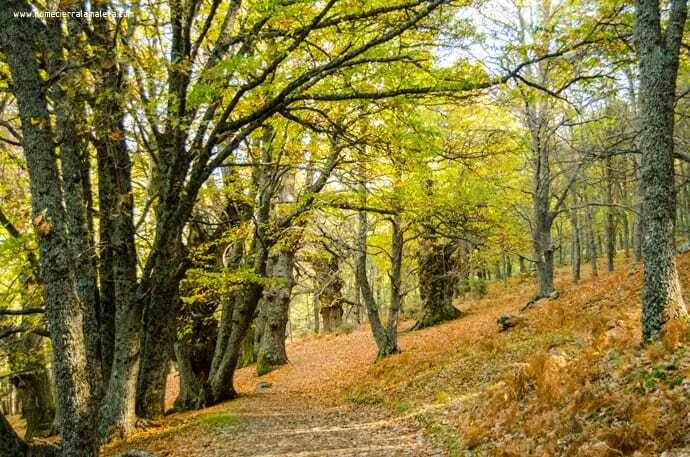 Located in the Sierra de Ayllón in the province of Guadalajara, Hayedo de Tejera Negra is located a special beech grove with a unique microclimate. In a landscape dominated by pines and birch trees, is distinguished by the presence of Royal eagles, foxes and wild boars, all of them in harmony with the Lillas and Zarzas rivers. 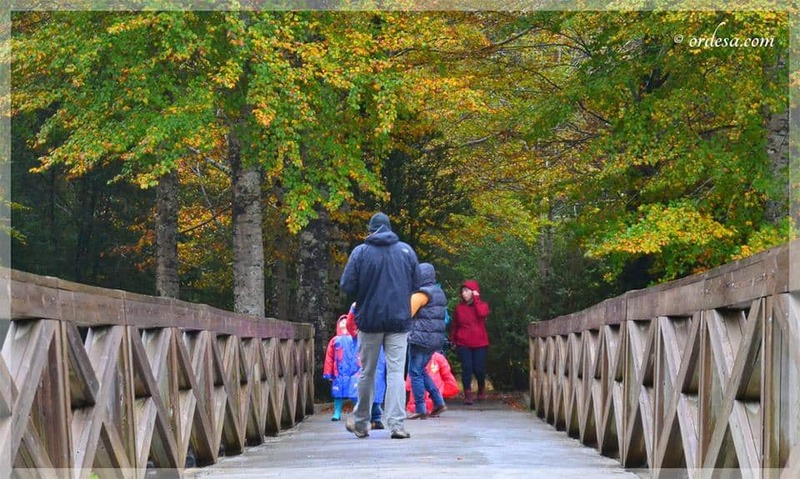 This Natural Park has the Senda de Carretas and the Senda del Robledal, two scenic trails the acquires an adorable environment at autumn. Sierra Cazorla, located in the province of Jaén, is a Biosphere Reserve. 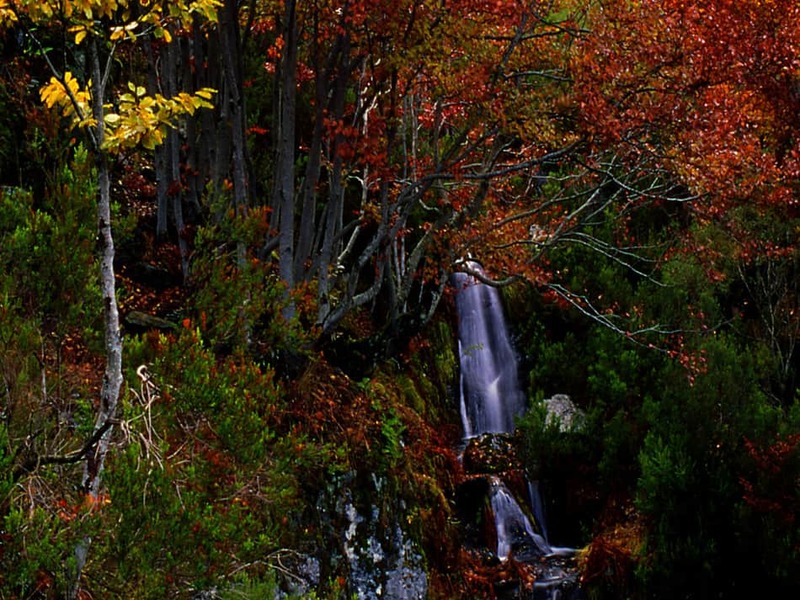 Forest seduces by its colors, unique species as the Cazorla violet and for being the natural habitat of different animals as the deer, squirrels and foxes. There you will enjoy the Borosa River, one of the Guadalquivir´s tributaries called Aguas Negras and the Segura, Guadalimar and Hornos Rivers, among others. In this natural Park you can also visit it Botanic Gardens and see the paintings of Collado del Guijarral and Cañada de la Cruz. 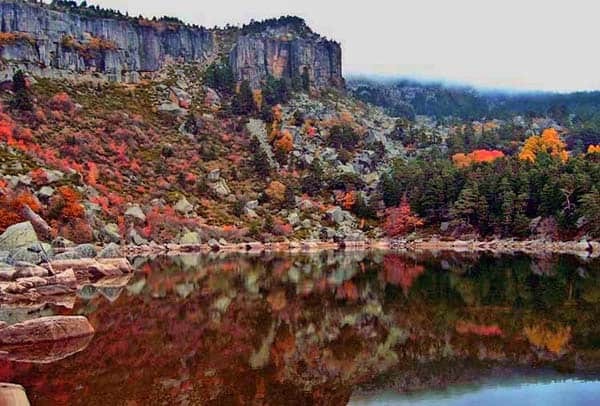 Laguna Negra, raised from a glacier, is located North of Soria, Castile-Lion. The reason of the color of the water is the reflection on the surface of the surrounding rocks. If you go by car or bus you will be at 200 meters from the lagoon, but by foot you will have to walk like two kilometers. Once you get to this Natural Park and be delighted by its colorful pines, beech trees and an splendid waterfall, you can take the 13 km circular route to the top of the Urbión peek. Between Álora and Ardales, Malaga, lays the King´s little road: a trail where you can be delighted with the intense colors autumn, in a 8 km trail that can be completed in four hours. The trail was closed for some time, but three years ago approximately it was improved with rails, bridges and stairs accesses, creating a spectacular experience with high standards of security and quality. Ancares and O Courel make up the largest Green Reserve of Galicia with countless routes for hiking. 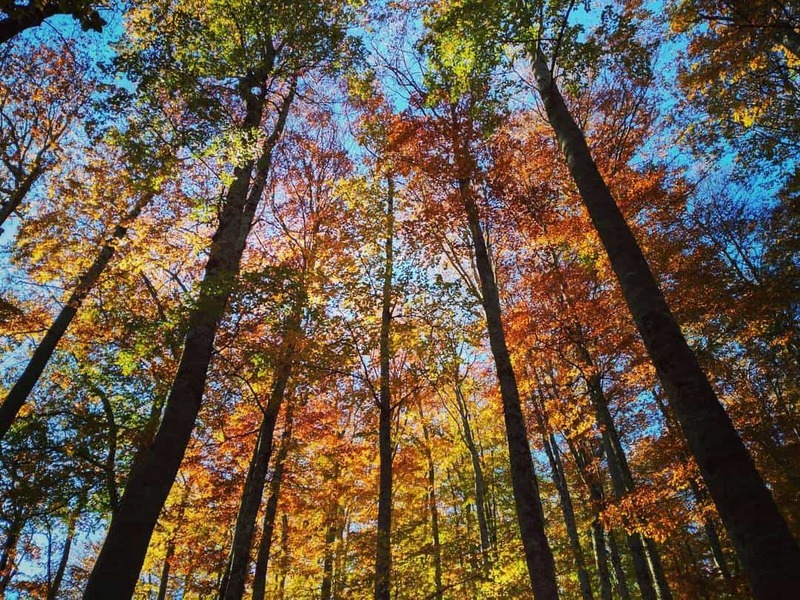 During fall, O Courel forest will dazzle you with it landscape wealth, where oaks, birch trees, chesnut groves and beech trees have the role. You will see a tour that becomes the perfect alternative to outpace the daily stress, combining Nature and Cultural Heritage. In 1987, Urbasa and Andia´s Natural Park was proclaimed Natural Reserve. 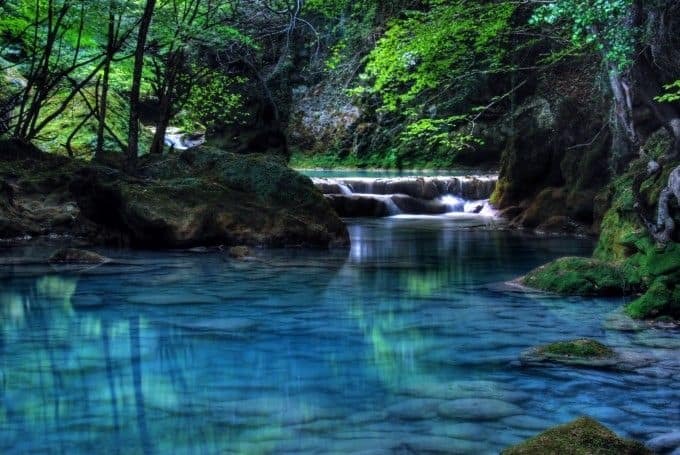 There begins a turquoise water river of Navarre called Urederra. 30-meters waterfalls, beech forest and floor covered with multiple mushrooms accentuate its beauty, with the color mantle painted by fall. You will be pleased to enjoy the outdoors with your family, friends, partner or by yourself to unplug, and if you travel in autumn a festival of colors will amaze you. So, if you have not yet plans for this period of the year, take an escapade to one or more of these 10 impressive routes that are waiting for you. 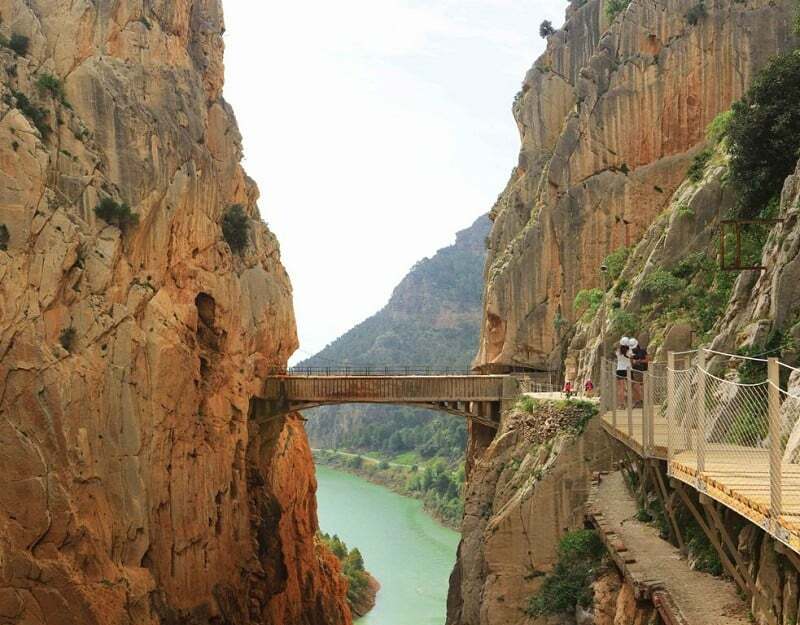 Make up your mind to hike in these natural landscapes and let yourself be captivated under its charms: you’ll see how Spain and it Magic Fall will seduce you.